Tours | The Dacorum Heritage Trust Ltd.
Have you ever held a 6,000 years old Neolithic axe-head, looked closely at samplers dating from 1880 or measured yourself up against the wheel of a penny-farthing? These objects are all stored at The Dacorum Heritage Trust’s Museum Store in Berkhamsted. Come along to the Museum Store to learn more about the objects used and owned by people in your area. We our confident that from our collection of over 110,000+ artefacts there will be something to capture your imagination. The tours not only give an overview of Dacorum Borough’s history, spanning over 6,000 years, but will also give you a taste of the activities we do to help conserve your local history. Group Tours must be booked in advance. Please note that due to space restrictions tour parties are restricted to a minimum of 4 and a maximum of 10 people. Please also note we have a steep staircase, which is the only access to the upstairs storerooms. This may not be suitable for all. 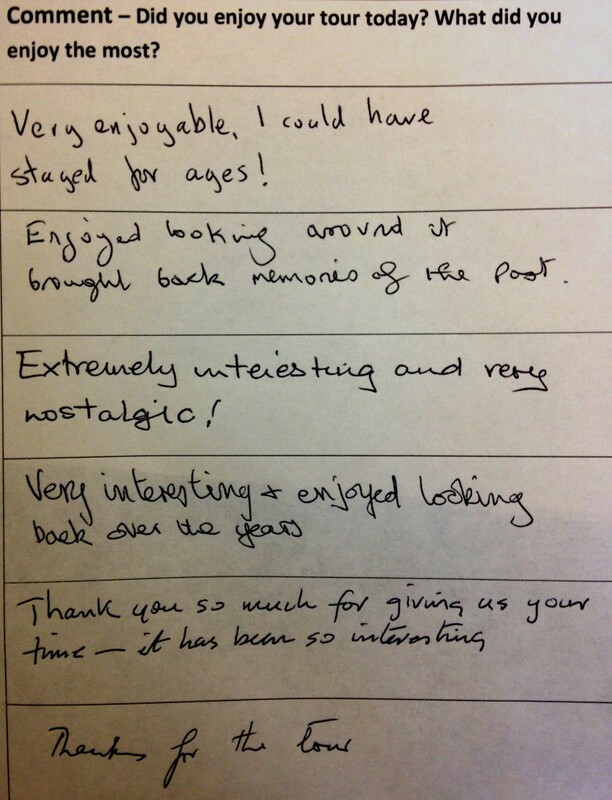 Some great feedback from one of our tours of the store.